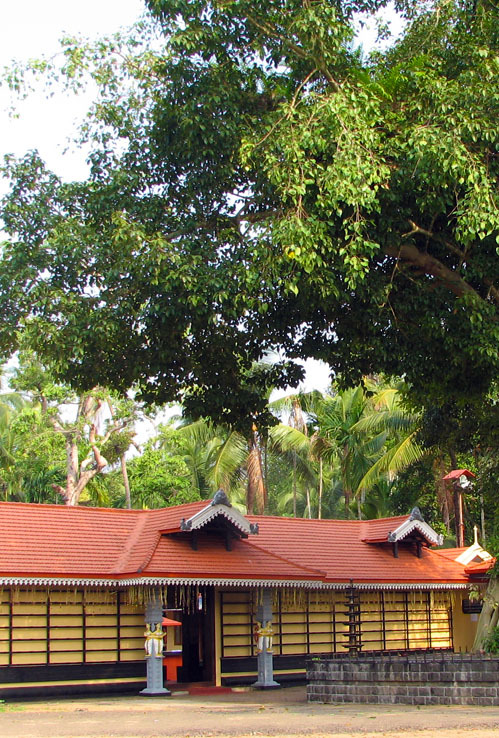 Vazhappully Sree Rajarajeswari Temple is located at Kazhimbram in Thrissur District, Kerala. It is a 500 year old temple with Goddess Rajarajeswari as the Main Diety. "Dwaja Sthambham" in front of this temple is an everlasting ambition of the devotees. The Teak wood required for the divine flag pole has been cut from "Kulichi Mountain" near Pamba river in the presence of the Temple Tantri. This teak wood was brought to the temple premises and dried for over 6 months before shaping it manually to a cylindrical pillar of length 45 feet in a single piece wood. Kodimaram after shaping was submerged in specially prepared Ayurvedic Oil for over one year. Special vessel was constructed to dip the entire 45ft long wood inside 1000 liters of this medicated oil. Special poojas were performed before this process. 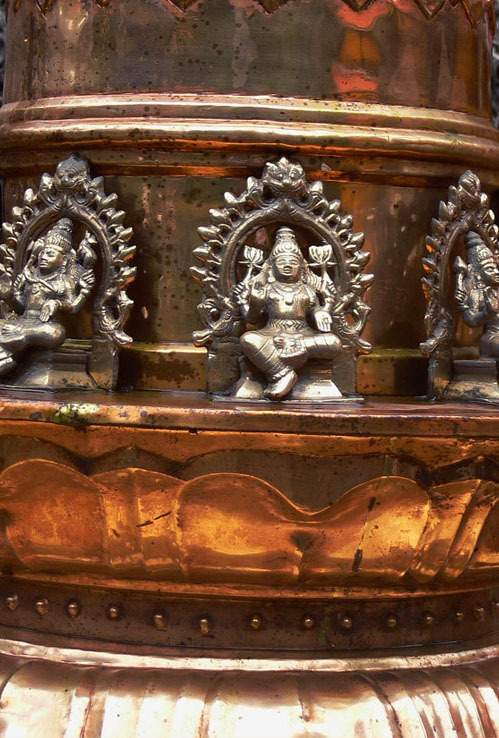 Kalasa Pooja, Adhivasa Homam, Deeparadhana, Athazha Pooja, Mulapooja. 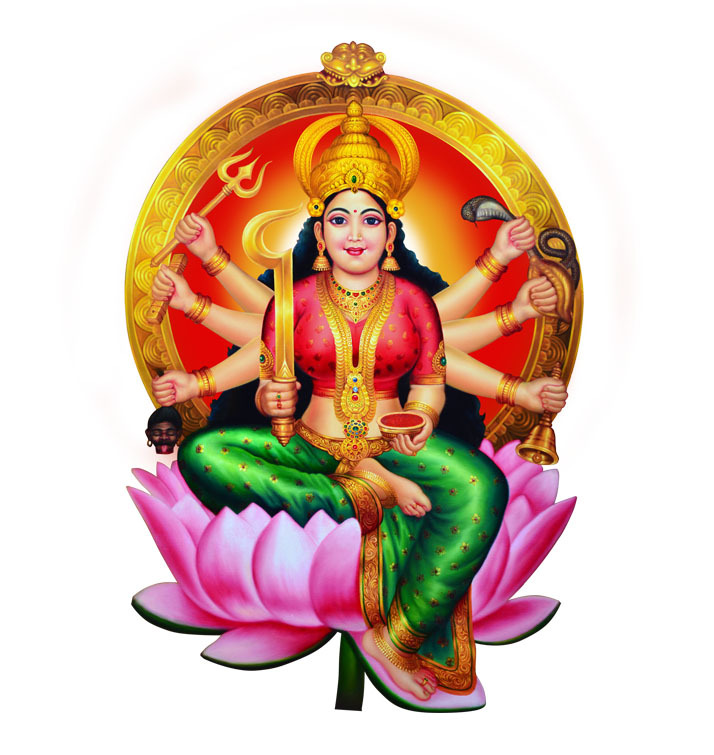 Mandapa Samskaram, Valiyabalikkal Adhivasa Pooja, Deeparadhana, Athazha Pooja, Mulapooja. Marapaani. Followed by Dhwaja Prathishta (Muhoortham : 12:00 – 12:15pm).